Hi Friends! Sorry I’ve been quiet this week, came down with the stomach flu, worst 24 hours in a long time. Good news is I’m feeling 100% better and I’m ready to get back at it! Today I thought I’d show you a little project that my husband dreamt up and implemented. Now I’m not sure if you realize how big of a deal that sentence is. My husband is an amazing carpenter. Years ago in his home country he was trained from a very young age in furniture carpentry. He learned how to build beautifully ornate furniture, then he moved on to concrete forming and excels at that. You’d think with having such a handy husband that I would be able to get lots of my hands on – power tools needed projects completed. That is not the case. While my husband is very good with his hands he really doesn’t like to do anything carpentry related at home – I can’t really blame him but sometimes that’s uber frustrating for me. BUT this project was his baby and it turned out so lovely! 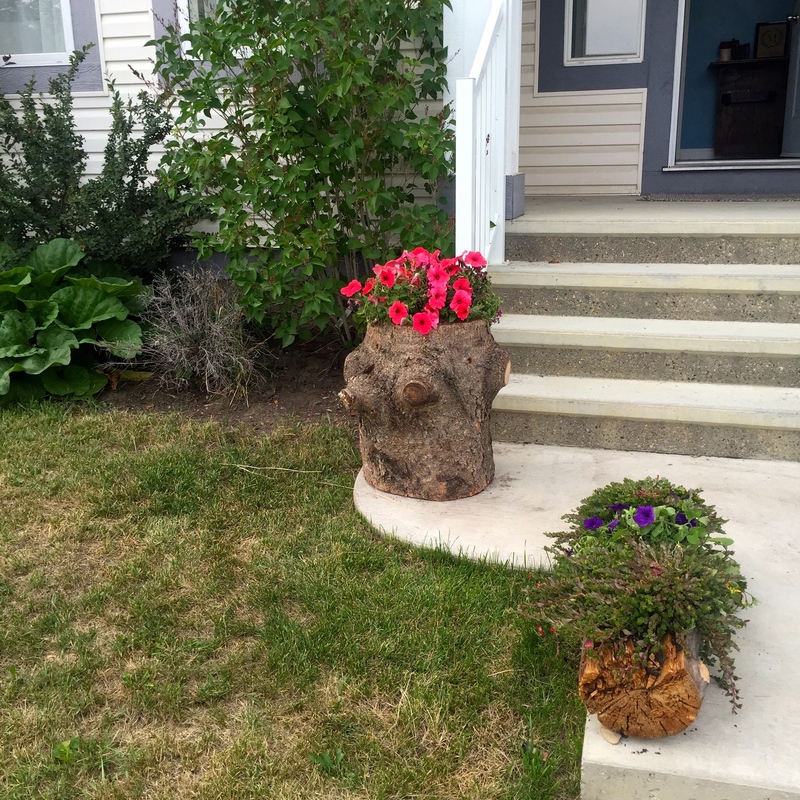 This is my new upright planter on my front step that is made from a hollowed out log and I adore it! In case you didn’t notice we love to use things found in the outdoors to repurpose and decorate our surroundings – outside included. We also LOVE flowers and plants. I have no idea how Carlos came up with this idea but once it entered his mind he was obsessed with finishing it. 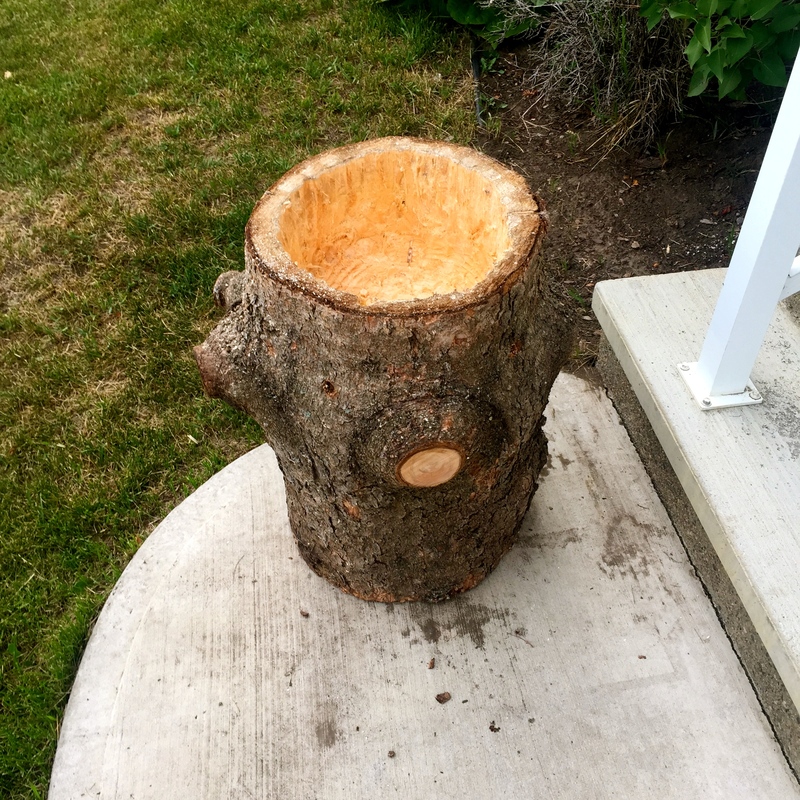 We started by sourcing out the stump. We actually found one when we were camping in June but my parents also found two really great stumps and brought them for us to use so that’s what we ended up using. Carlos was so obsessed with finding these stumps that while we were camping we drove off to the middle of nowhere and he got out and walked forever by the road farther into the forest to find trees that had already been cut down. 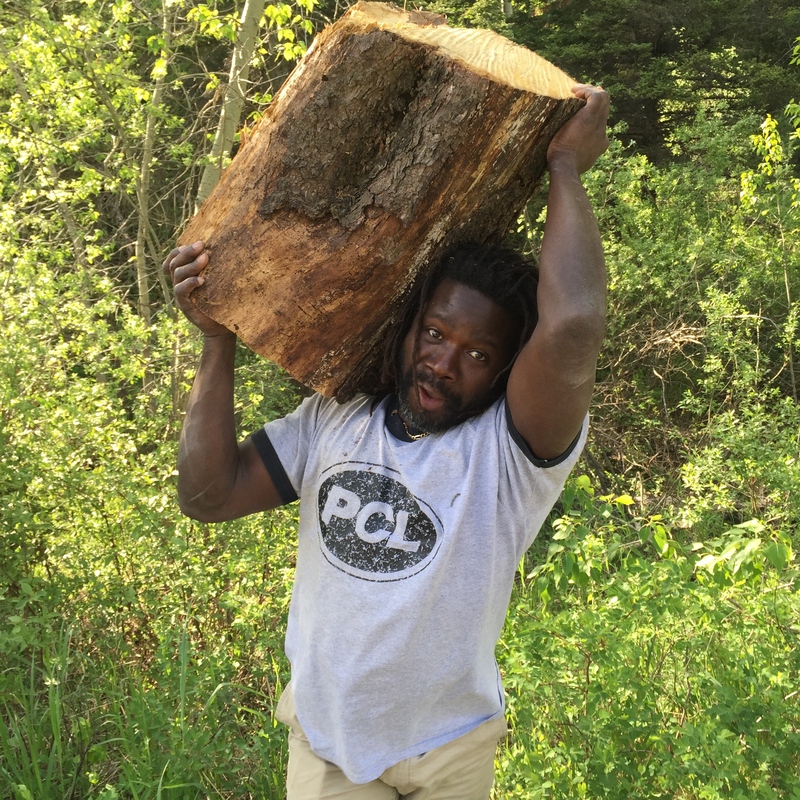 This is him after finding what we thought was a perfect stump – he’s obviously excited. 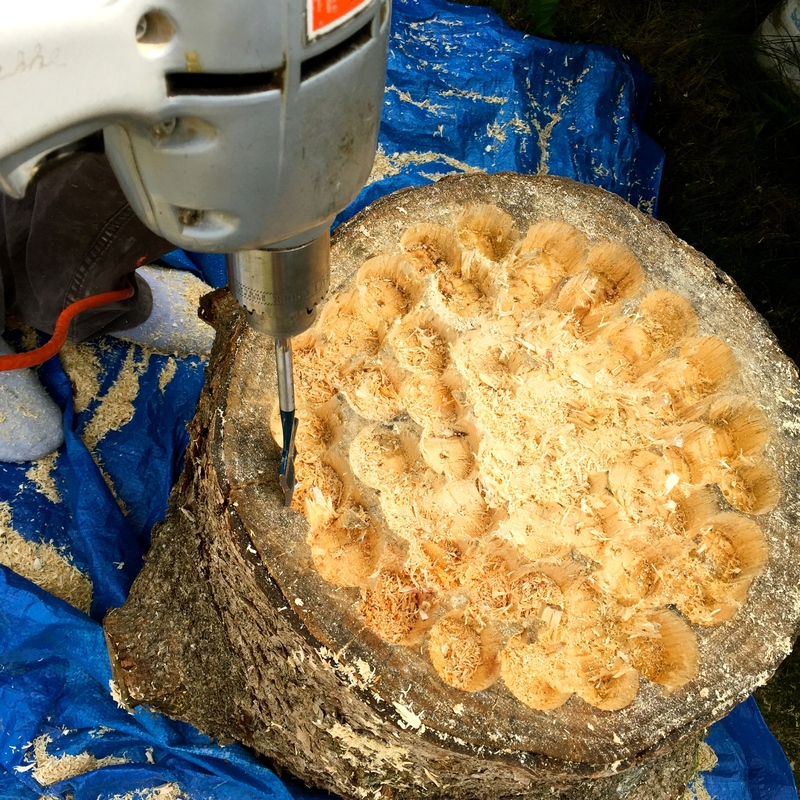 The next part was the most time consuming – hollowing out the log. I don’t really know if there’s a better way to do this because this took a long time and was super hard on our power tools. Carlos bought a large spade style wood bit and just drilled holes all around. He did shallow drilling all the way around and then drilled deeper until he reached the depth he wanted. He also drilled diagonal holes from the inside to the outside to let water drain through. Then we simply planted the flowers! 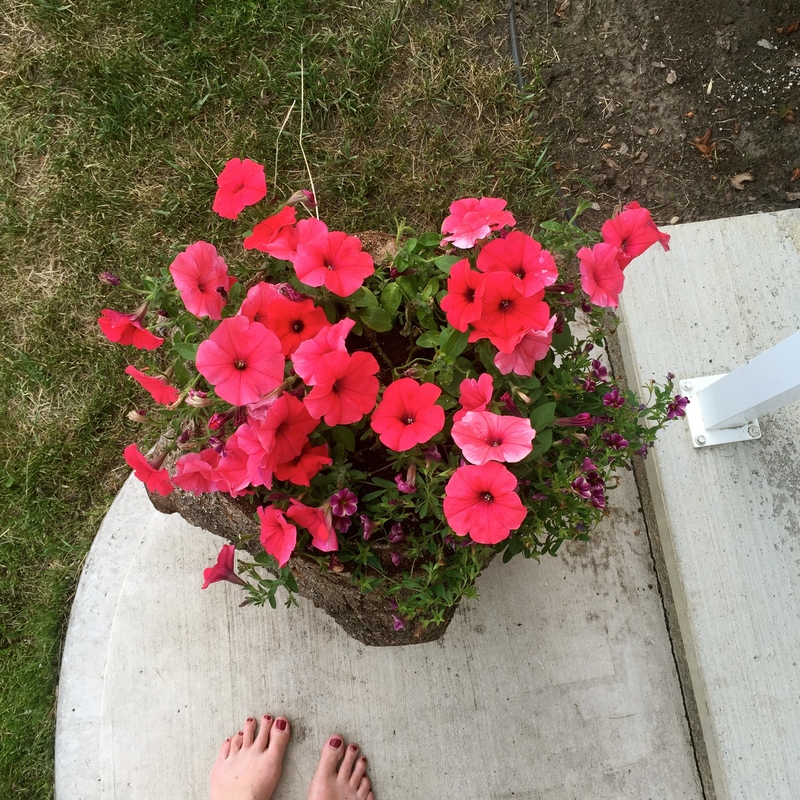 He also made two of the long planters for either side of our steps and I’m so in love with those as well. They make great conversation pieces for people walking by our house. The only problem I see with these is that eventually the wood will rot out. 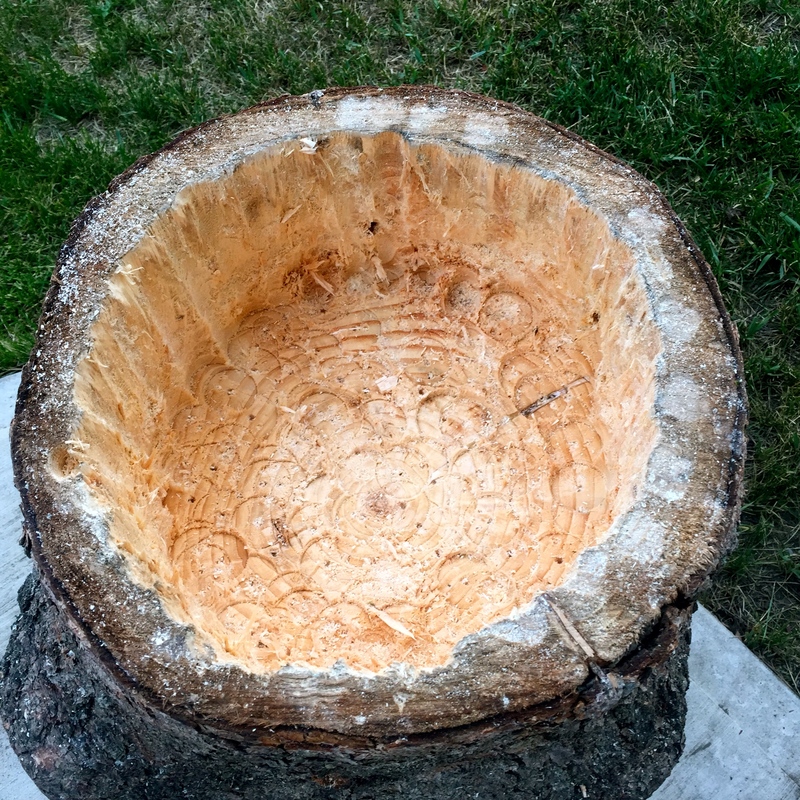 The large stumps will last longer than the long ones for sure but I’m trying to brainstorm how I can make them last. I may use some sort of epoxy on them next year. Definitely we’ll have to store them somewhere dry over the winter but I’m not convinced they’ll last very long at all. What do you guys think? Is this a project you’d be willing to invest your time in? It really cost us nothing but time. This entry was posted in DIY, Simple Decor and tagged BUDGET, BUDGET FRIENDLY, DIY, FLOWERS, HOME DECOR, NATURAL DECOR, NATURAL LIVING, NATURE, PLANTERS. Bookmark the permalink. Maybe you could put a pot in it then the flowers. That’s a great idea!!! I’m going to try that this year!